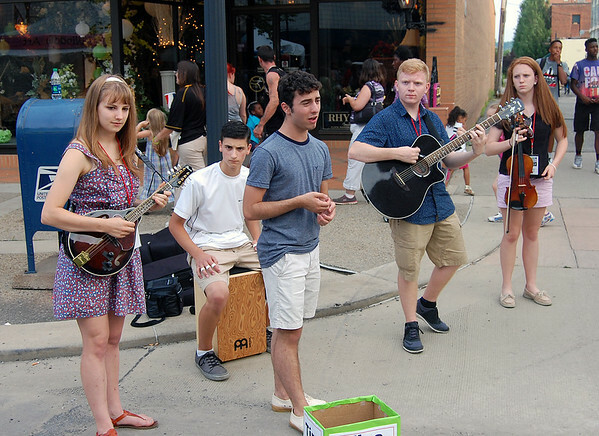 The East Enders from Monaca were one of many street performers invited to play Saturday. From let are Olivia Larson,16, Mitchell Pulleo, 16, lead singer Bradley Brown, 17, Ethan Lyons, 15, and Claire Lyons,16. The high schoolers entertained throughout the day.